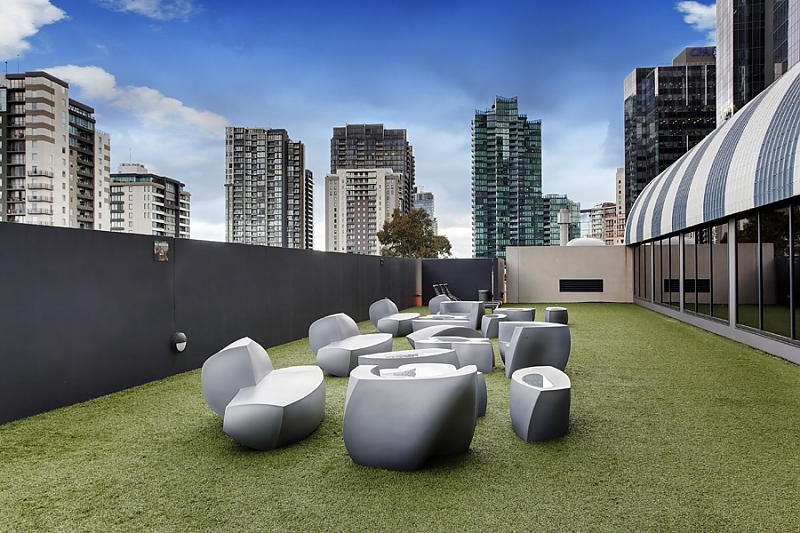 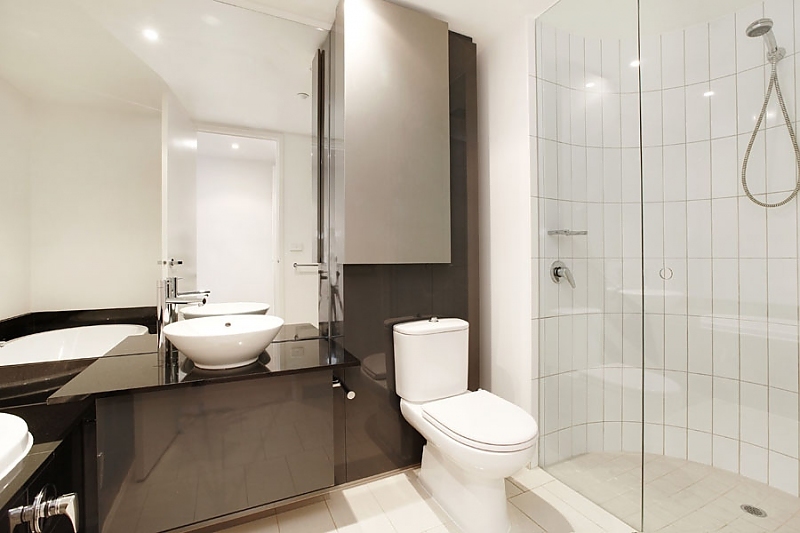 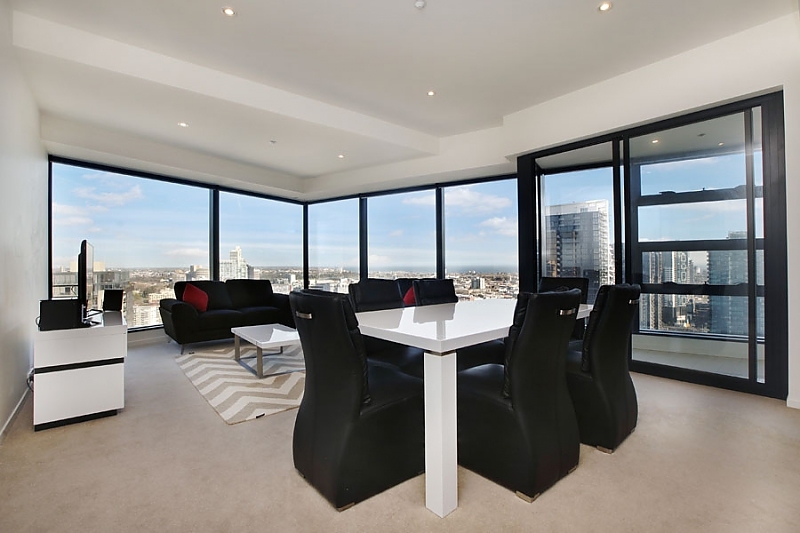 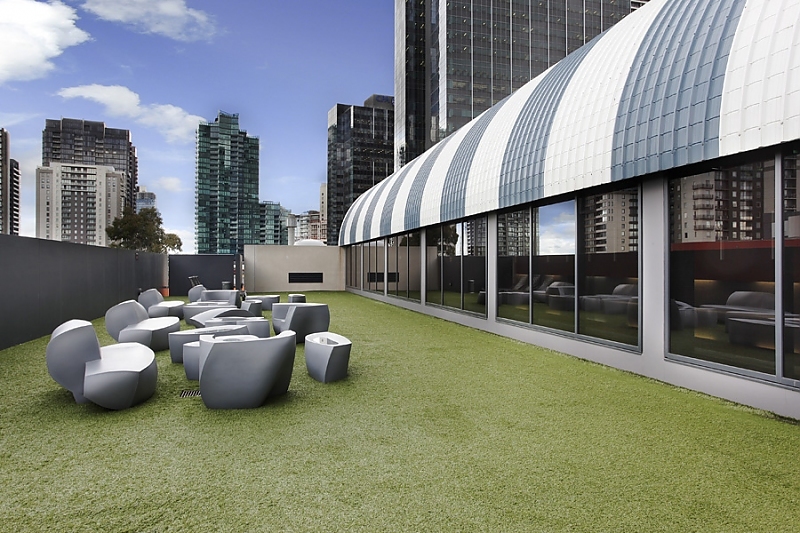 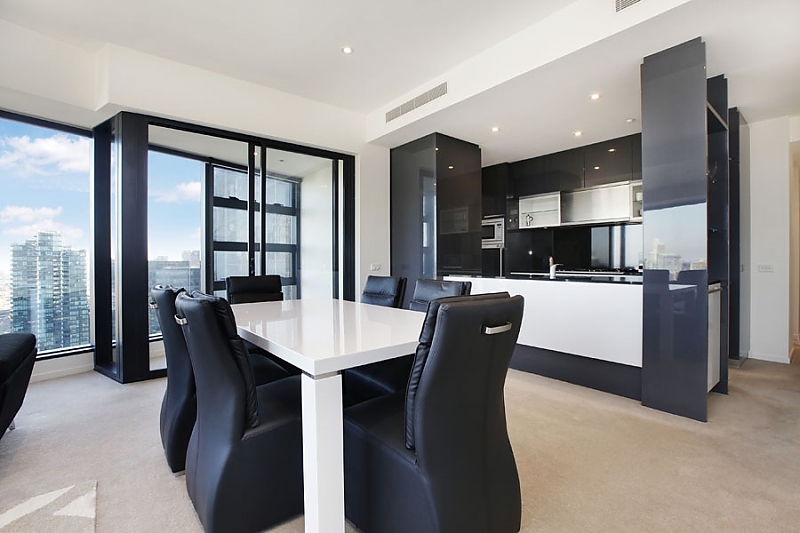 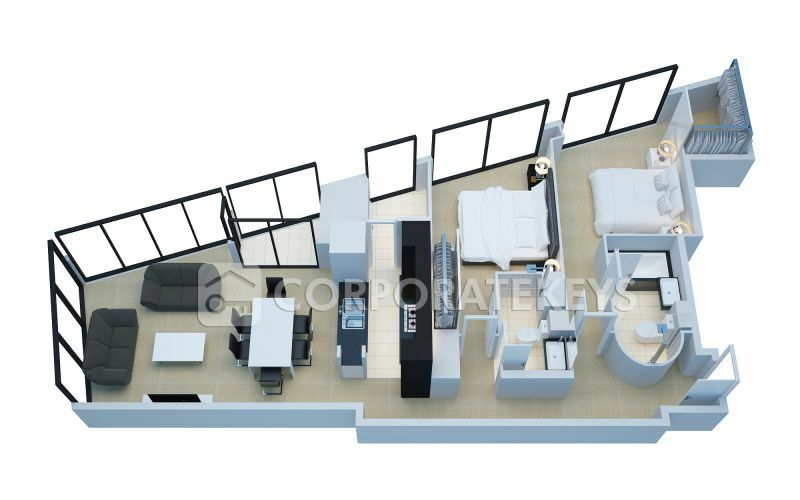 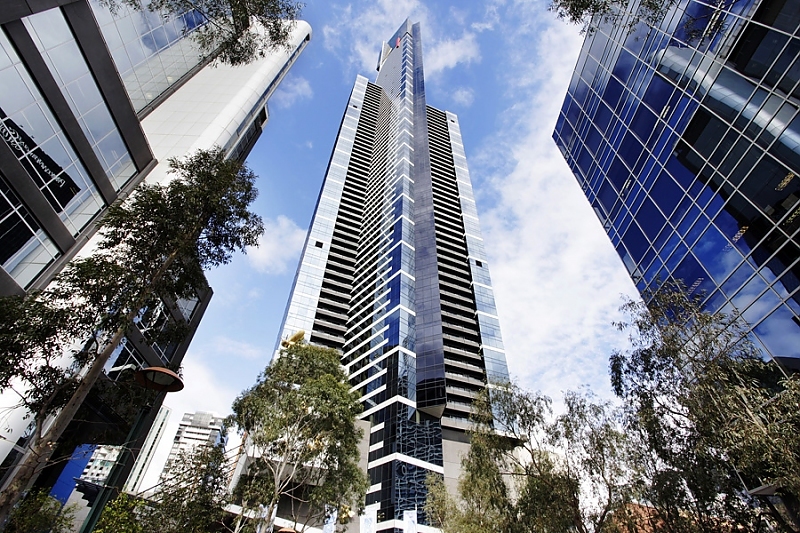 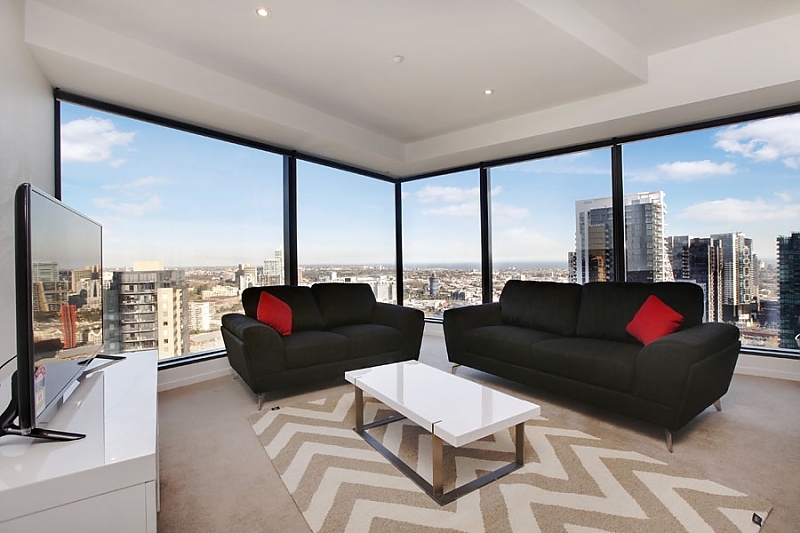 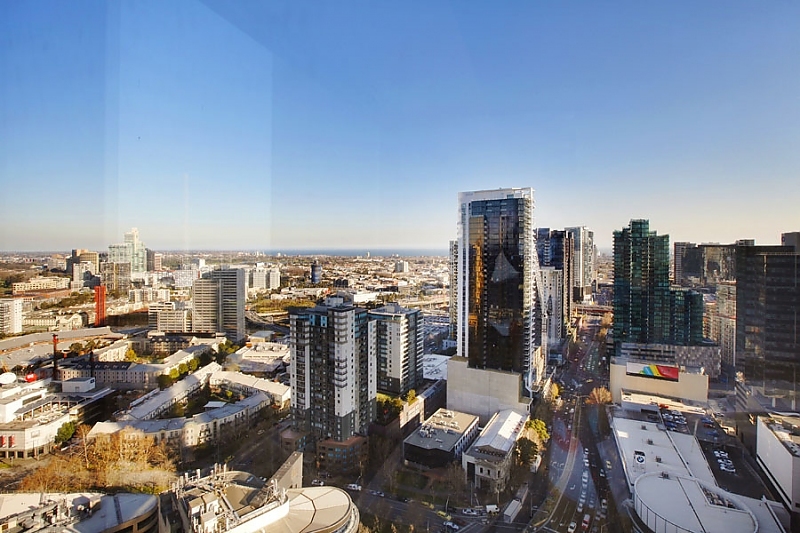 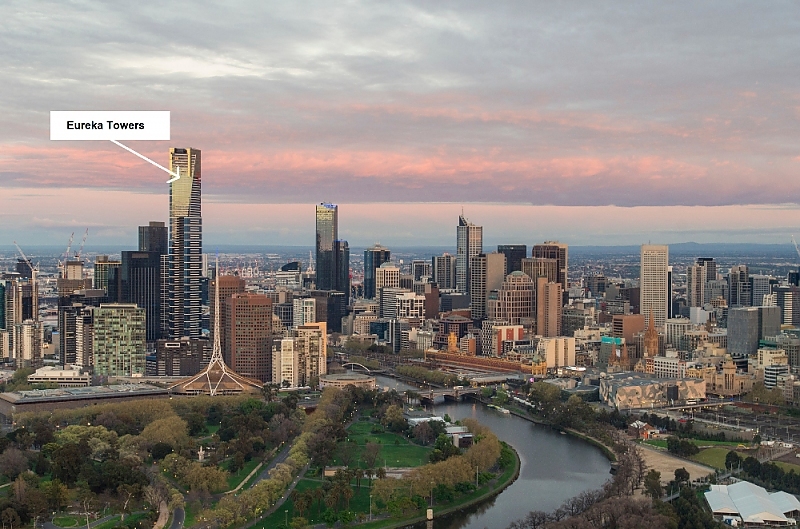 You can see all the way to the ocean from this executive apartment that boasts two large bedrooms each with its own private ensuite, set in a world-class residential building with 24-hour security located steps to all Melbourne CBD has to offer. 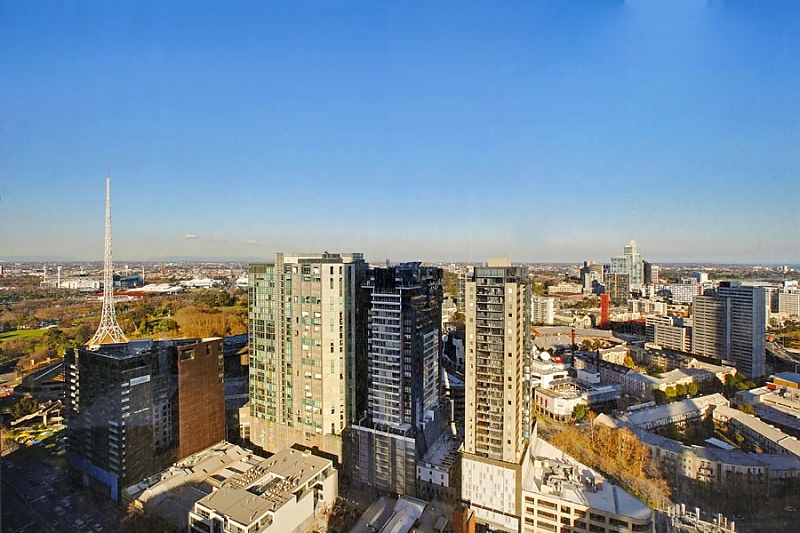 Impressive city views are on show from the living/dining room of this light-filled corner apartment with an additional sunroom ideal for your relaxing in the sun with your morning coffee. 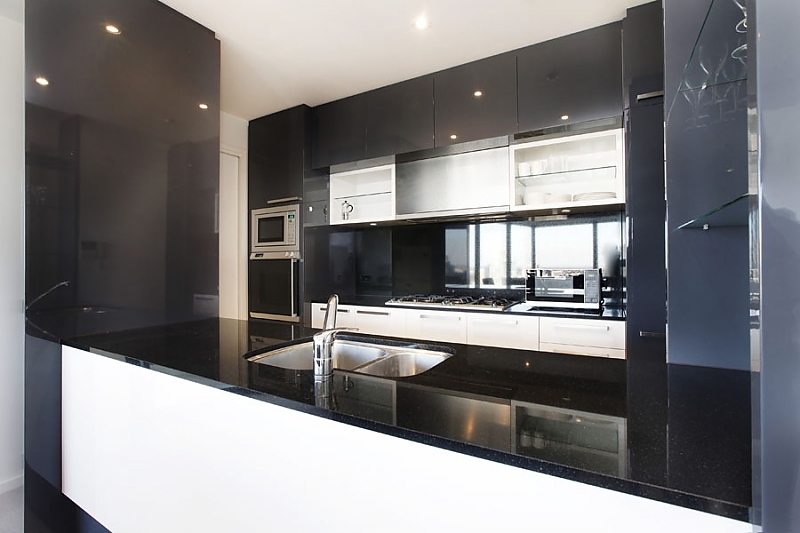 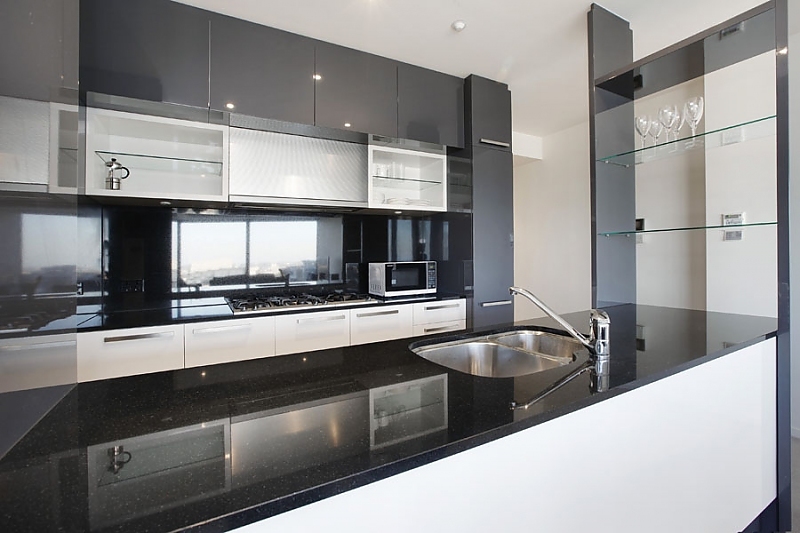 The full-sized kitchen makes home cooking a breeze with gas cooking, quality European appliances including dishwasher and large breakfast bar with sleek black stone benchtops. 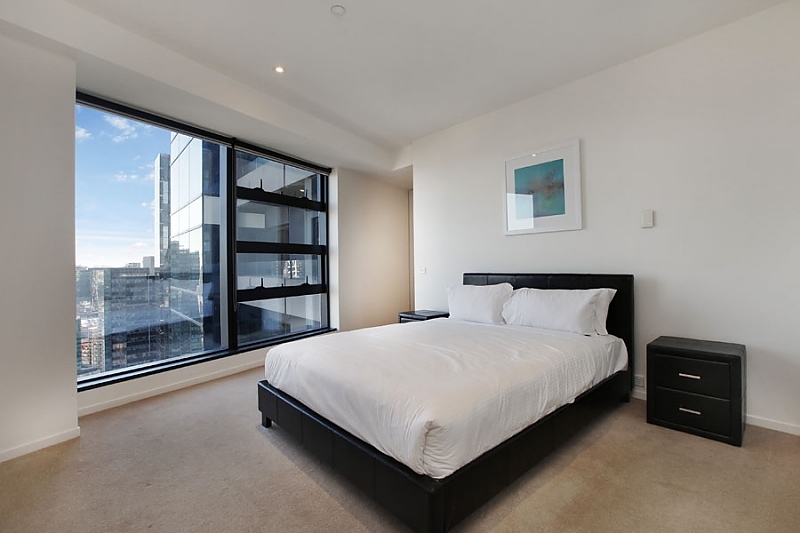 Both bedrooms capture more elevated city views. 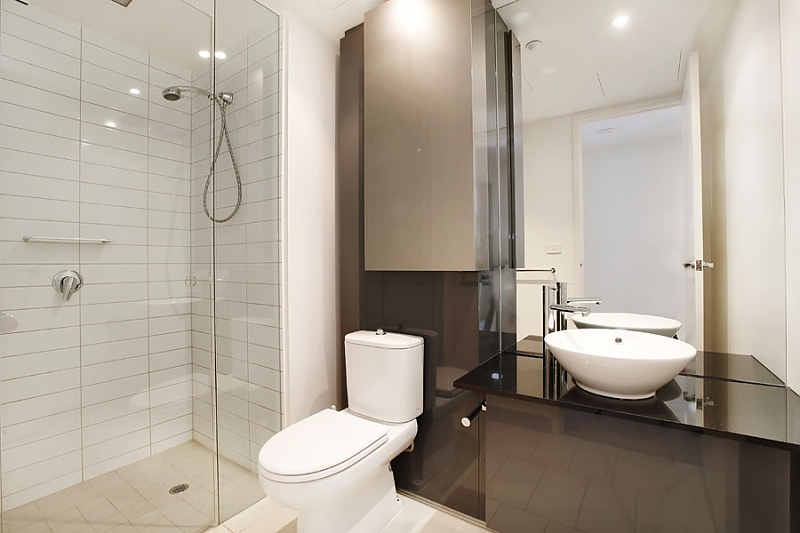 The generous master bedroom presents a walk-in robe and luxury ensuite with distinctive curved shower and separate bath, and the second bedrooms -- with a built-in robe -- enjoys exclusive access to the modern main bathroom. 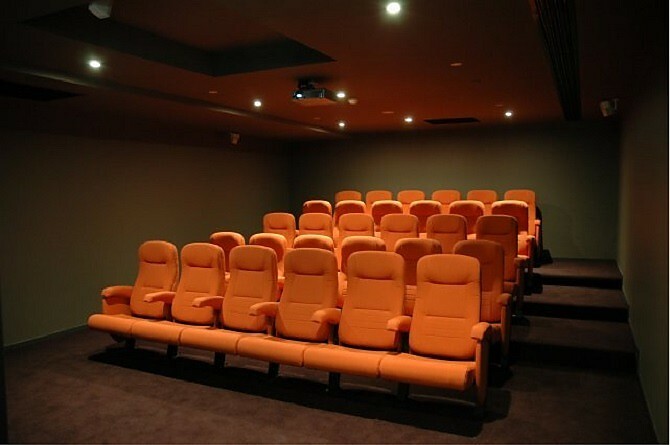 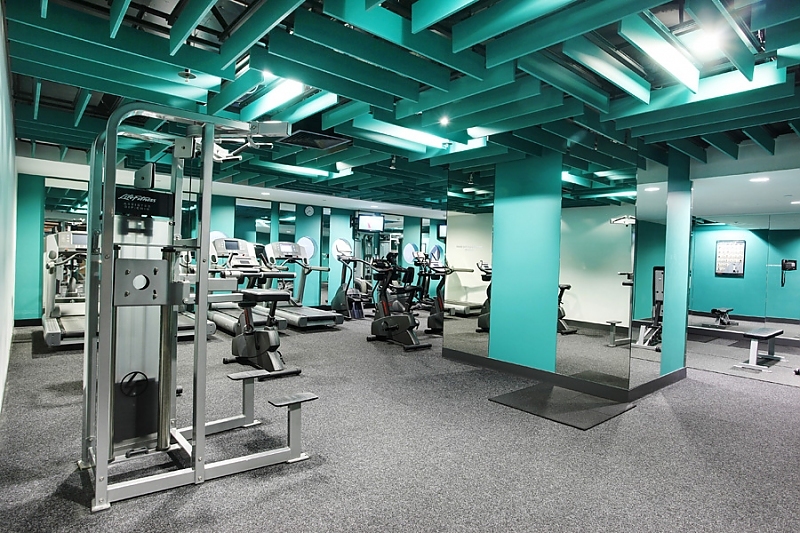 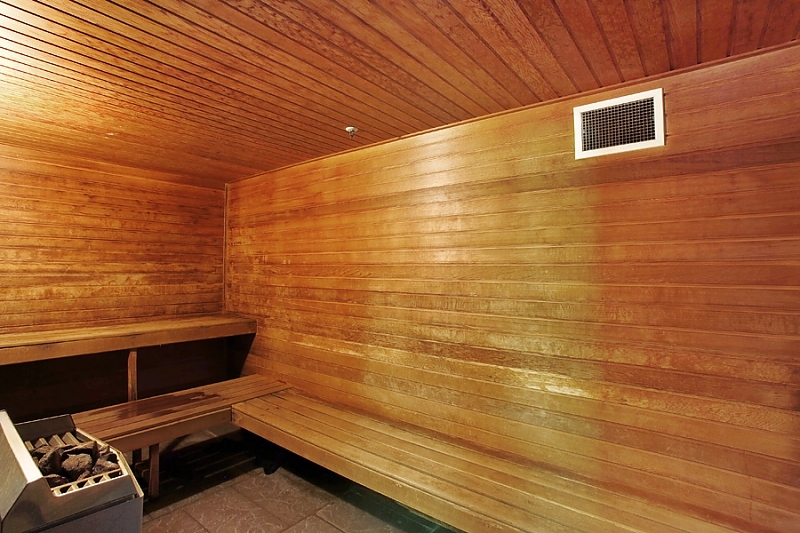 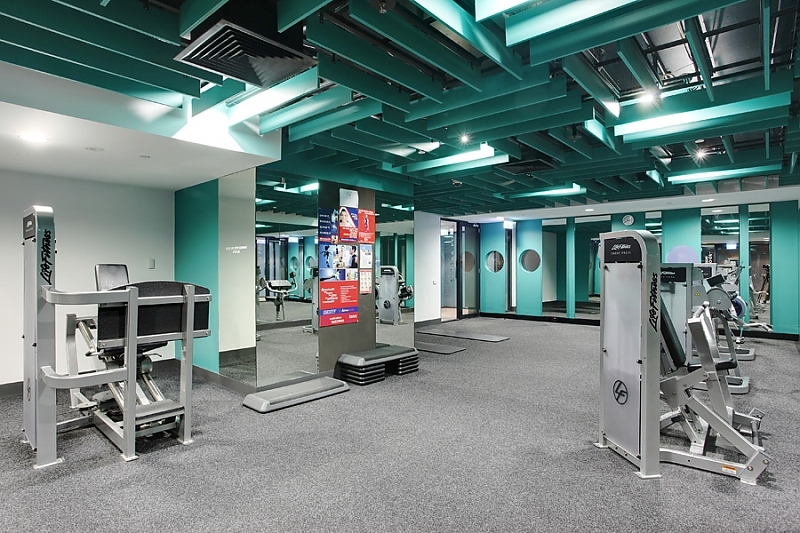 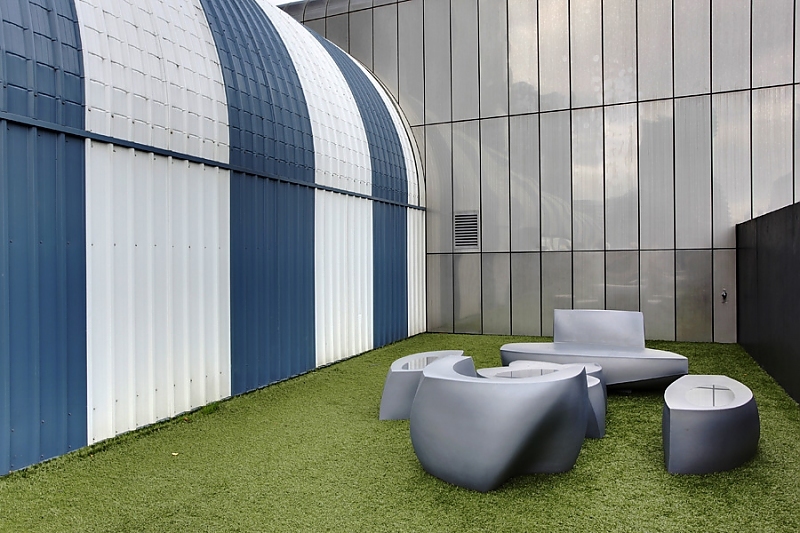 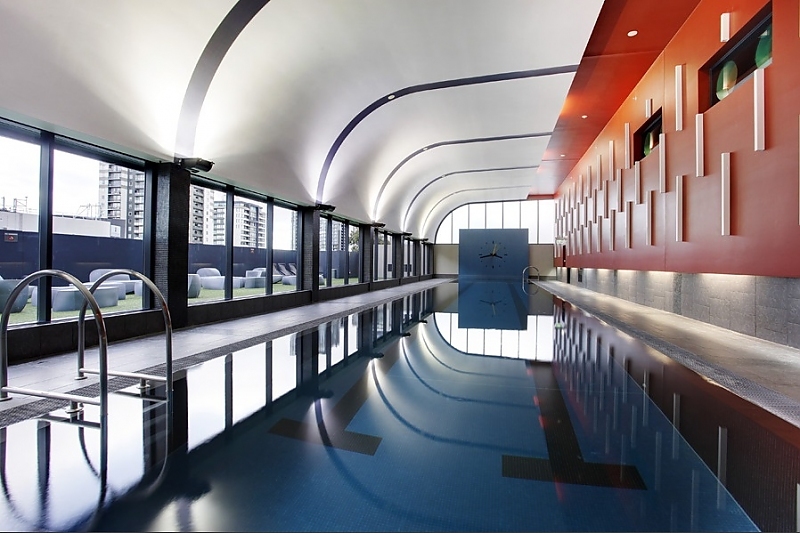 Ducted air conditioning and a European-style internal laundry add convenience, and you'll love the on-site indoor lap pool, sauna, gym and private 30-seat cinema.